del Garda (Brescia). He completes his classical studies in Desenzano. a meeting place of artists and intellectuals and becomes interested in photography. Fascinated by the world of art, Mulas took Photography almost as an accident.His knowledge of photography is totally self-taught. He realised soon that being a photographer means to provide a critical testimony of the society in which one lives, the society after the World War.It is this very sensitivity that guides the search for Mulas between 1953 and 1954,with his first subject the suburbs of Milan, the Central Station and the friends from the Jamaica Bar. 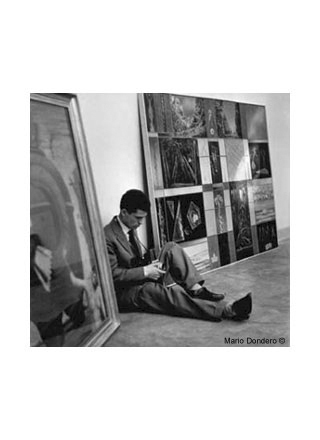 Significantly, he comes in contact and develops a wonderful friendshipship with Mario Dondero.He obtains his first professional assignement as photographer in 1954 when he is asked to cover the Venice Biennale together with photojournalist and friend Mario Dondero. 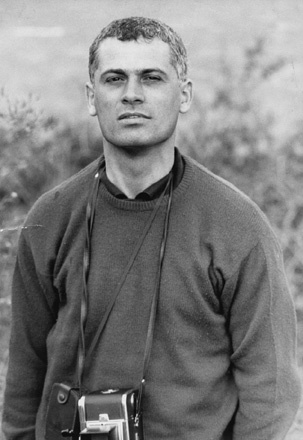 He makes his first reportage and is published in "le Ore" at the Biennale Venice in 1954. 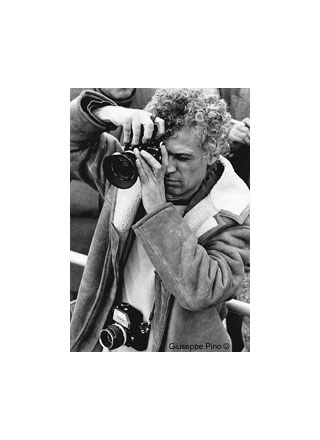 With this experience, He follows and documents every Venice Biennale events through all the years untill 1972, photographing its most important moments such as Alberto Giacometti's protest at the award ceremony in 1962 or the success of American artists in 1964. 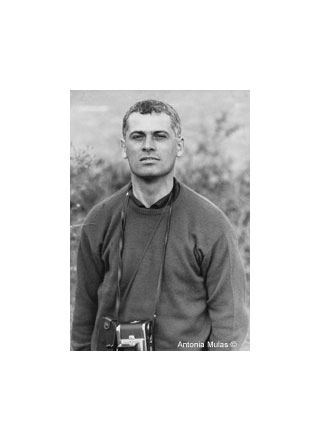 In 1960 he travels all over Europe and realizes a series of reportage for “L’Illustrazione Italiana”, in collaboration with Giorgio Zampa, and other magazines such as "Settimo Giorno", "Novità", "Domus", "Du". He collaborates with Pirelli and Olivetti advertising departments. 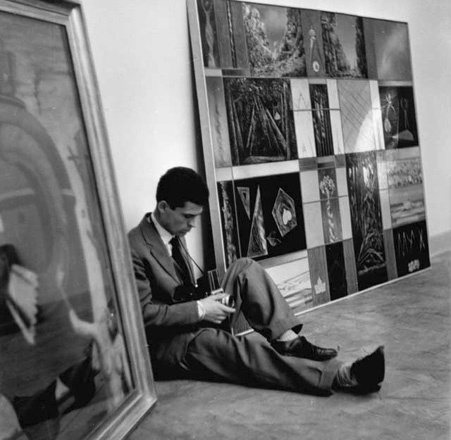 He photographs the 1962 Spoleto Festival and David Smith in his atelier in Voltri. His friendship with Alexander Calder starts in Spoleto. 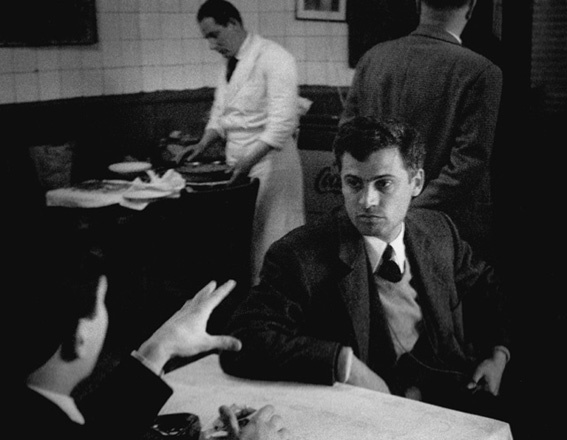 That same year he will take photos of his friend at Saché in Touraine and again in 1964 in his atelier in Roxbury, Massachusetts. 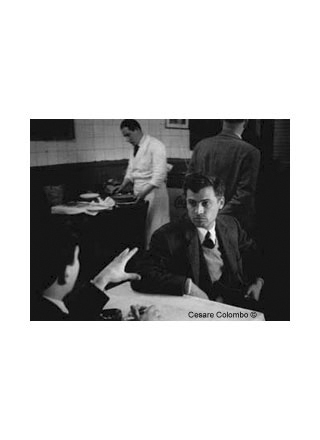 The photos for Eugenio Montale's poems, in particular Ossi di Seppia, date back to this same period. At 1964 Biennale he meets the art critic Alan Solomon, the art dealer Leo Castelli and many other Pop Art American artists. He decides immediately to leave for New York. His first trip in 1964 is followed by other visits to the city in 1965 and 1967, during which he puts together an extraordinary body of images that document New York art world. His collaboration with Giorgio Strehler leads him to a new model of stage photography inspired by Brecht's notion of alienation. An example is the direction of La vita di Galileo (Galileo's life) in 1964. In 1969 he works with the director Puecher to two important theatre productions. He takes stage photographs of Benjamin Britten's The Turn of the Screw, from Henry James' novel at the Piccola Scala in Milan, and of Alban Berg's Wozzeck, from Georg Büchner's play at the Teatro Comunale of Bologna. 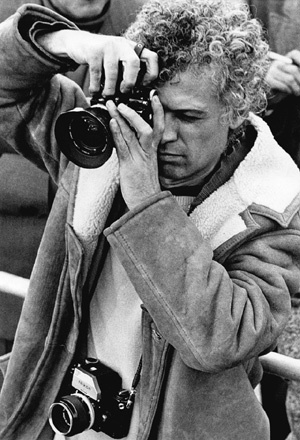 In 1970 he falls seriously ill and he starts his last series of photos Le Verifiche (Verifications) in the same year. He dies on 2nd March 1973 in Milan.